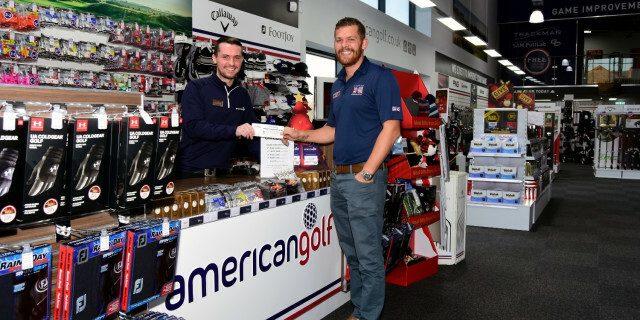 American Golf's Christmas charity raffle has been launched across its stores to support the On Course Foundation, which uses the game of golf to support the rehabilitation of wounded, sick and injured servicemen and women. With 20,000 tickets available for a cost of £1 each, it's hoped that money raising records will be surpassed as many striking prizes have been donated to the raffle by some of the most famous and prestigious brands. With a top prize of a golf break, including golf and dinner, at one of the five Marriot UK venues, the lucky winner will certainly be beating the January blues. The runners up won’t be disappointed either with prizes up for grabs from Taylormade, Odyssey, PowaKaddy, Cobra and Titleist – a clear indication of the industry-wide support On Course Foundation enjoys for the important role it plays in supporting current and ex Service Personnel. Tickets will be available to buy in store from November 19th until 31st December (or until they sell out) with the draw taking place on Monday January 14th. “We are incredibly grateful to American Golf and its customers whose generosity continues to allow us to achieve our aims. As golfers we all know how much the sport enhances our physical and emotional wellbeing, which is why it has such a significant impact on members’ rehabilitation. £50,000 will go a long way to helping us reaching even more men and women,” comments Alistair McKay Forbes, Managing Director at On Course Foundation. Follow @AmericanGolf_UK and @OnCourseCharity for more details.